Calories in, calories out—herein lies the most basic mathematics of life. Yet across the world, this simple equation varies to extremes. Sadly, humanity continues to suffer from a severe imbalance in available calories that threatens lives of millions. 165 million children under age five suffer from malnutrition, yet in the developed world, childhood obesity has nearly doubled since 1980. If only we could "recycle" calories from one population to the other. The founders of Active for Good took this concept to heart and created a new equation that directly connects these two global health crises. Their innovative programs partner with aid organizations to convert the abundance of calories consumed in the U.S. into life-saving food for malnourished children in developing countries. 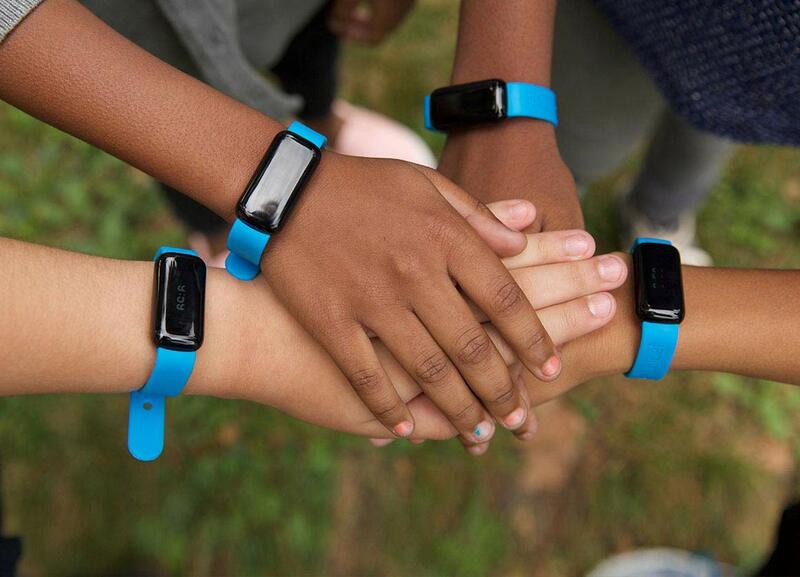 Active for Good engages children and adults in the U.S. to lead more active lifestyles through two main programs: UNICEF Kid Power and the Workplace Wellness Challenge. As people exercise, wristband and mobile devices collect data on calories burned. The IoT platform then matches each calorie burned one-to-one with funding that brings "ready-to-use therapeutic food" (RUTF) to malnourished children in the developing world. As each side of this unique equation becomes healthier, children with SAM not only survive, but also thrive. Active for Good started in 2013 at the Unreasonable Institute, an accelerator based in Colorado. From the beginning, the founders chose the Heroku platform in order to quickly bootstrap and build out their vision. The platform has since grown, with 14 apps currently running on Heroku. Heroku’s Common Runtime runs Active for Good's applications in isolated, lightweight Linux-based containers that are automatically provisioned and fully managed. Heroku’s Common Runtime runs on trusted Amazon Web Services infrastructure. These include staging and production apps for each of Active for Good’s two main programs, plus several smaller apps that sync data or perform maintenance and periodic tasks. Their developers have particularly appreciated the speed with which they can spin up new apps on Heroku. Active for Good started with a MEAN stack. As their platform is so data-intensive, they later switched their data store from Mongo to Heroku Postgres, which fits better with their data models. Calorie data funnels into the system from a variety of sources, including their own wristband hardware and mobile app. The platform also integrates with external devices such as FitBit and Jawbone, as well as other fitness-related mobile apps. Several Heroku Add-ons round out their implementation, including: SSL for encryption, CloudAMQP for message queuing, Librato for monitoring app performance, Deploy Hooks for deployment notifications, and Heroku Scheduler to run scheduled tasks. 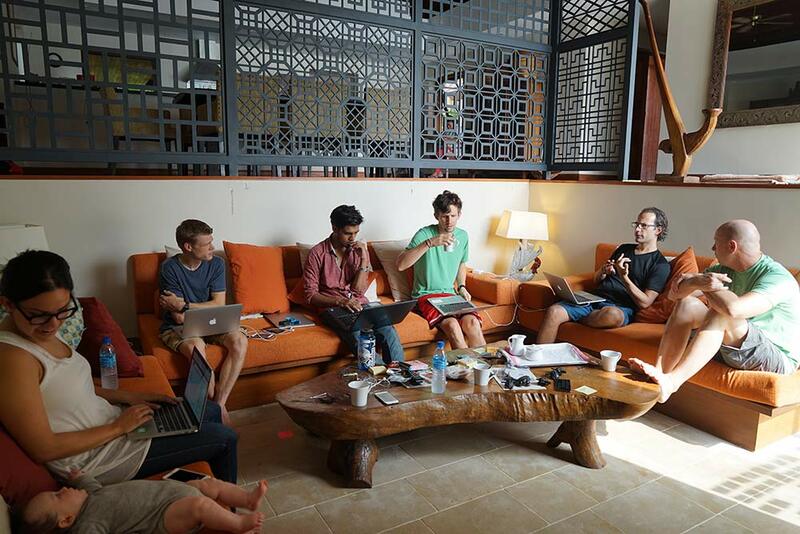 The development team itself is as global as Active for Good’s mission. Members are located in Cambodia, China, and Pakistan, as well as in California, Seattle, New York, Kansas, Rhode Island, and Colorado. 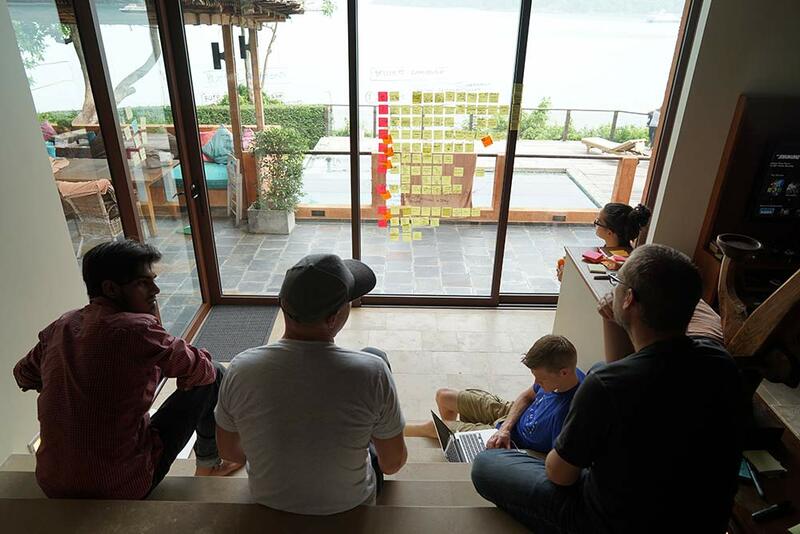 The team has focused on developing a culture and remote work style that spans time zones and communication barriers. They use Asana to collaborate in the planning stages and then move to Pivotal Tracker during development. When code gets pushed to GitHub, they use Codeship to handle auto updates to Heroku. Post-launch, Active for Good is now focusing on building scale. Throughout their development journey, they’ve found Heroku to be a solid partner for growing their nascent idea into a world-class IoT platform. Now it’s all about leveraging Heroku to amplify their impact—one calorie at a time. Learn more about the impact Active For Good has had so far at: https://activeforgood.com/impact. Are you building a data-intensive platform that connects to wearable devices? Active for Good has depended on Heroku to build out their unique ideas into a world-class IoT fundraising platform. For more information, contact Heroku today. Active for Good (formerly known as Calorie Cloud) is a nonprofit health startup dedicated to ending hunger by motivating adults and kids to be healthier through physical activity. They use technology to double the global budget for Ready-to-Use Therapeutic Food (RUTF), the main line of defense against Severe Acute Malnutrition (SAM). Their platform collects calories burned from participants and converts them into funds that help bring therapeutic food products to children suffering from malnutrition. For more information, visit activeforgood.com.